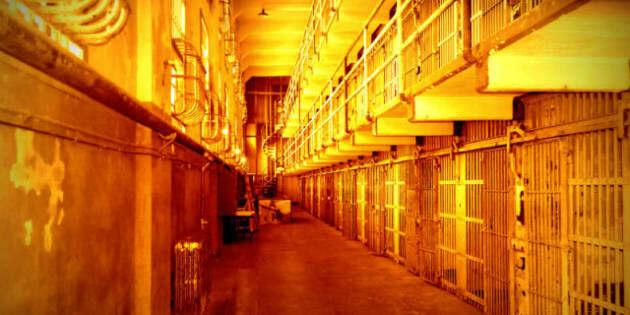 If we keep focusing on cosmetic solutions involving super-jails and more police with bigger guns, we will be guilty of marching along to the popular and populist banal rhythms of the fear-mongering politicians. A hard rain is going to fall. The whimpering voices of dissent proved to be absolutely useless. The so-called Safe Streets And Community Act (now known as Bill C-10) will become absolute law and we will have to live with the consequences. The changes are going to directly and adversely affect the right to bail, young persons charged with crimes, and sentencing discretion enjoyed by judges. Some of my fellow criminal lawyers have cynically pointed out that ultimately we lawyers alone will benefit from the draconian mandatory sentences that are attached to the new legislation. We will now be able to look clients in the eyes and say, "Well, why should you plead? There is no upside to 'making a deal.' Let us put the government up to task and let them prove their case beyond a reasonable doubt. It is not as if the judge will have any discretion in sentencing even if you were allegedly carrying on in the spirit of Mother Teresa!" As an experienced criminal trial lawyer who has been around the block a few times, I now say this somewhat in jest, but similar conversations will indeed take place around Canadian jails between lawyers and clients in the coming few months, I guarantee it. Does anyone with any modicum of intelligence still have to be convinced that mandatory sentences simply do not work in the real world? Does anyone really believe that all objective Statistics Canada figures showing that crime has been on a steady decline during the last decade are all bunch of lies made up by left-leaning, bean-sprout-eating "liberals"? How can we as a society justify and invest in harsher laws that seek to further curtail our freedoms? I personally do not blame Prime Minister Steven Harper or his leadership for these Old Testament retribution-filled, fire and brimstone-type changes. Mr. Harper did exactly what he said he was going to do. He is merely completing his mandate and keeping his promise made to the majority of Canadians who voted for him. For some of us, his new Malleus Maleficarum will absolutely root out the evil witches and other wrongdoers who are usually born out of poverty and lack of education. It would appear on the surface that the majority of Canadians are not really interested in the root causes of certain social realities such as gang warfare and violent crimes; we merely wish to warehouse the exotic specimens that carry these social diseases. In practical day-to-day terms, I will no longer be able to speak to prosecutors and judges about doing what is right and disposing of matters. A few months ago I had a client who had no previous involvement with the law. He had no criminal record. He was a former businessman who had lost his business. To top it all off, he was a victim of a car accident where he got hit from behind and severely injured his back. He was in constant pain. One day he got the not-so-bright idea of raising a few marijuana plants in his solarium. In short, the police executed a search warrant and found six marijuana plants in his solarium. The police busted his front door down, his two young daughters had guns pulled on them. One of them relived herself in her pants. When my client returned home he immediately went to the police and made a full confession. The police weighed the plants (including all the soil of course!) and charged my client with a "Grow Op" under 7 (1) of the C.D.S.A. The police advised him that they were going to take his house away from him after his conviction because they considered the house as an "offence-related property" under 16 (1) of the C. D. S. A. In this particular case there were many serious search warrant-related issues and I was finally able to convince a senior Crown and a judge that my client was not a drug dealer and he was not engaged in this endeavour for commercial profit. At the end of the day my client plead to "simple possession" and paid a fine. Under the circumstances, it was the right result. Under the new regime, a client facing similar charges would face a minimum of six months in jail. There will be no discretion, there will be no grey areas, there will be a fight, there will be a trial, and one side will definitely lose. Naturally, the Harper government refuses to disclose the methodology behind the real costs attached to their overhaul of crime and punishment in Canada. Any disclosure of that kind, I suppose, would likely make us privy to the colour of underpants belonging to The Great Oz. That would not do! We do know however, that more prisons are going to be built, more prisoners are going to be warehoused. More eyes are going to willingly avert away from the plain truth. We shall ostensibly feel "safe." For goodness' sake folks, even the God-fearing, gallon-hat-wearing, George Bush-supporting Texans are shying away from the dull stench of failure attached to a "tough on crime" agenda. The reality is that further down the road we too will realize that a "Just Say No" type of simplistic approach to crime and punishment taken in the 1980s by emaciated first ladies is not going to work. If we keep focusing on cosmetic solutions involving super-jails and more police with bigger guns, we will be guilty of marching along to the popular and populist banal rhythms of the fear-mongering politicians. We live in Canada. We have earned a well-deserved reputation around the world as being a decent and caring people. We must not be seduced into becoming a nation where we are fearful of the state and the police. We seem to be willing to trade the illusion of safety and security by losing our precious, hard-earned freedoms. If we don't stay alert and vigilant, the hard rain will fall on us all.